Qualifying has been run. 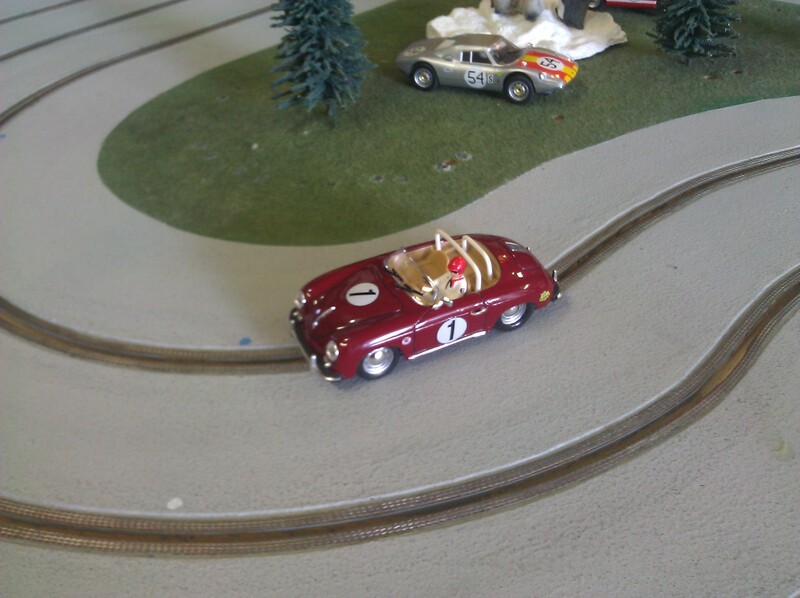 Each car was given 10 laps on the center lane against the clock. We'll be racing this afternoon. Good luck to all! 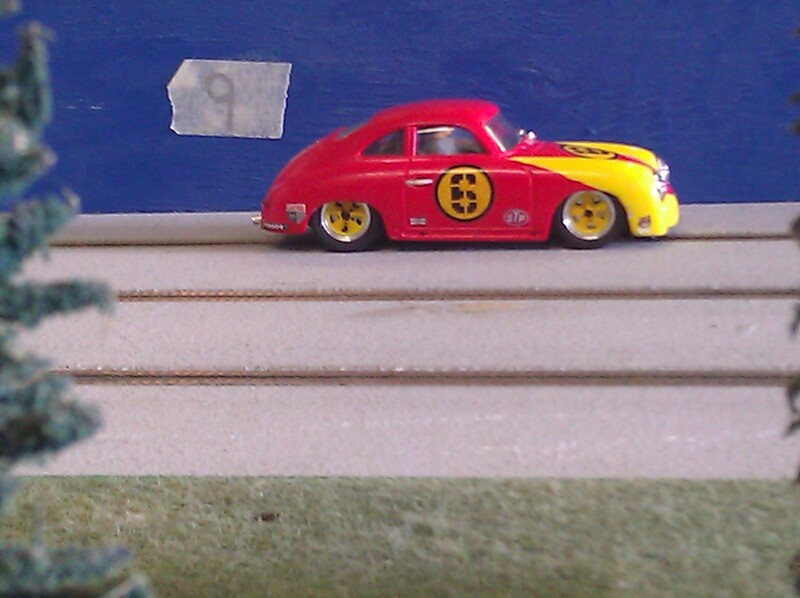 Mine's a Ninco and a Porsche just not a 356. Wow!! Mid-pack finish for me? I can honestly say I didn't see that coming. Thanks for a good run Monte and gang, sorry I had to miss it. 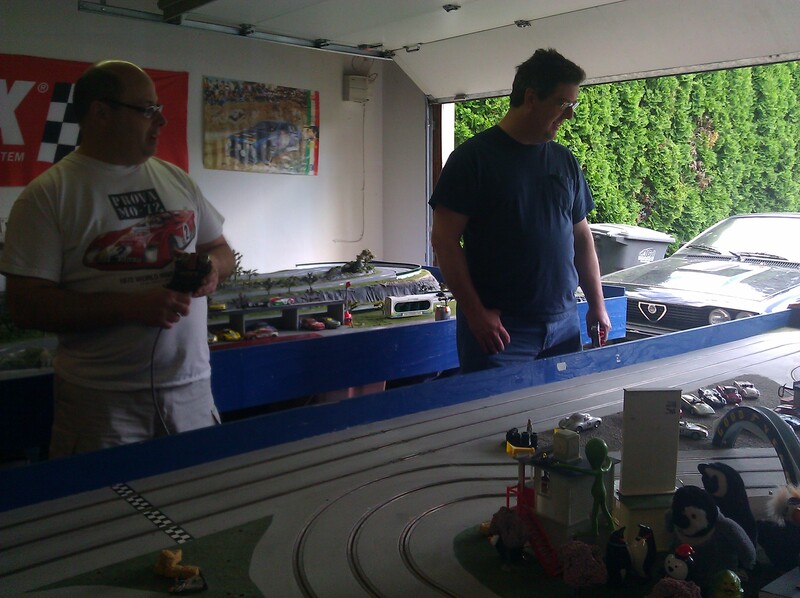 We had tremendous fun running the cars today. Monte ran the inside lane, I took the middle and Tracy had the dreaded outside lane. 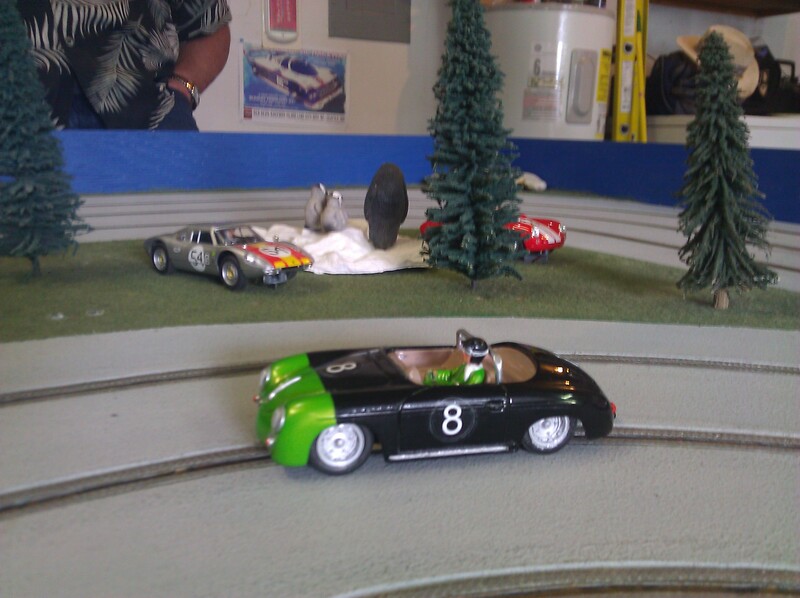 All of the cars were able to navigate Penguin Point without problems and were well suited to the track. 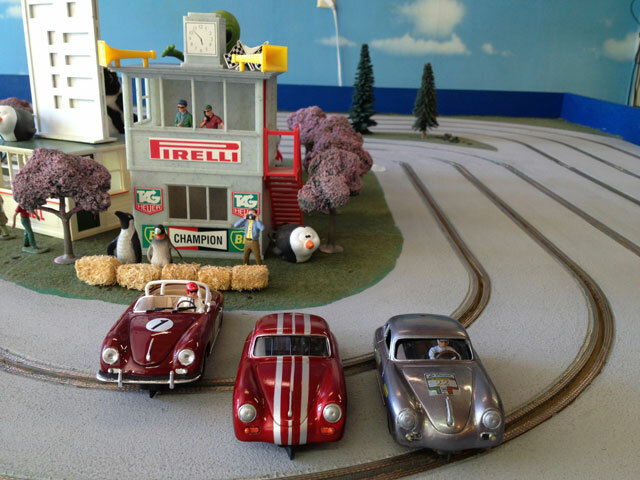 The difference between those on the podium and the others was that elusive quality of being able to push a little harder in the tight and grippy corners of the track without causing the car to tip or the rear to slide out. I really enjoyed Sadco and Harry's cars, they just felt really comfortable being pushed to the limit. Monte's wife was able to take a few pictures, hopefully he will be able to get them posted to the forum. Congrats to the top finishers. Seems I'm running right where I did last year in SLOP 2. 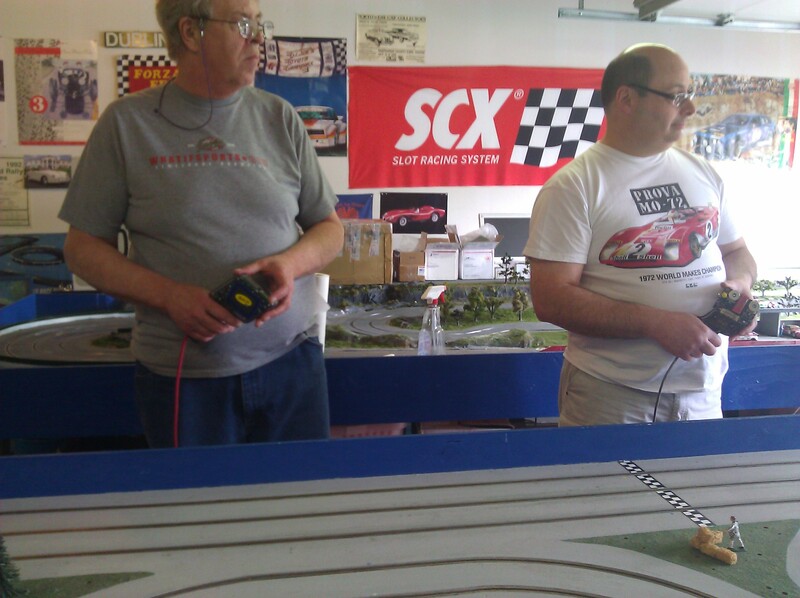 Monte, thanks for hosting a round, it sounds like everyone had a good time with the cars and that is what matters. Thanks to Tracy and Rico for helping out with the racing, much appreciated. Down to the southern left coast for the next round...good luck everyone. Last edited by bibbster; 06-03-2013, 05:42 AM. Last edited by kidvoltage; 06-04-2013, 02:28 AM. Cars are departing sunny Oregon today for a trip to sunny California.